One of our favorite venues to work with is the historic Hall of Springs located on the Saratoga Performing Arts Center grounds. Built in the early 1930s as part of the Saratoga Spa, this beautiful building was intended to be a drink hall that would benefit the mind and body. Fast forward eighty years later and the Hall of Springs is one of premiere wedding and event venues serving the Capital Region. 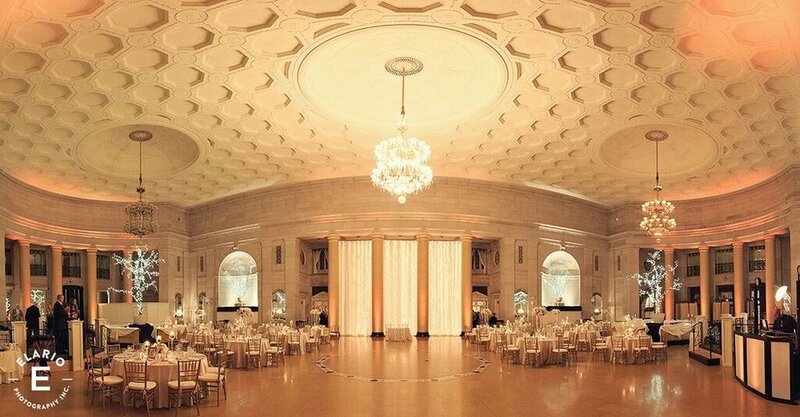 The Hall of Springs ballroom features beautiful crystal chandeliers, marble floors and marble columns. When decorating the space, we work closely with the event staff to make sure the decor is enhancing the already beautiful ballroom or the state park grounds. Even though we can go on for days about the spectacular ballroom, Hall of Springs is located in the Saratoga Spa State Park which opens up outdoor options for your event. The Hall itself is a beautiful backdrop for your wedding ceremony and photos! If an outdoor wedding ceremony isn’t an option due to another event (you don’t want to be drowned out by a show at SPAC!) or the weather is a barrier, Total Events can create a beautiful ceremony space within the building. While the Saratoga Hall of Springs is a beautiful venue for a wedding, it is also a great space for corporate events. The hall can seat up to 500 guest making it perfect for large gatherings such as a company wide holiday party. Whether you are using the Hall of Springs for your wedding, fundraiser, or anniversary party, the Total Events team has the perfect décor to reflect the occasion. We love working with the Hall of Springs event staff to transform the ballroom while bringing our client’s vision to life. 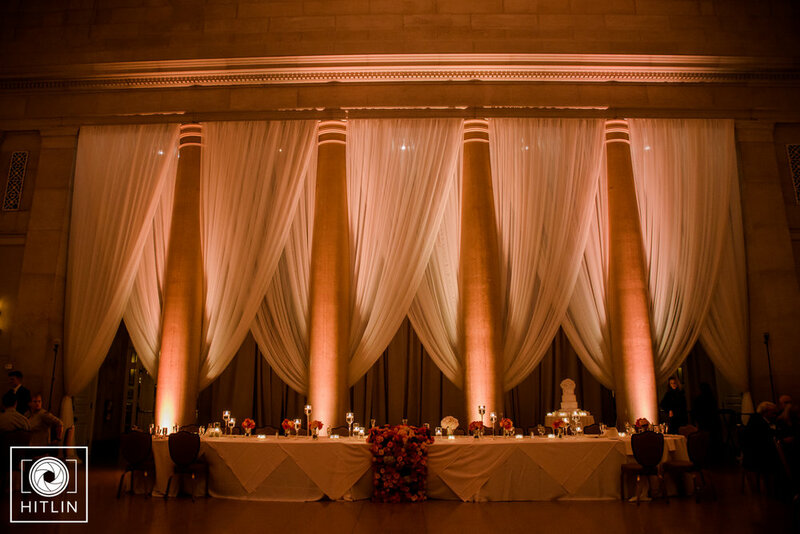 With 38ft ceilings, it is the perfect location to feature our signature drapery and light string display. The delicate chiffon drapery and string lights, draws your eye to the dramatic vaulted ceilings. In addition to our signature drapery, our custom lighting options, table linens, and lounge options work together to create the desired atmosphere for your event. 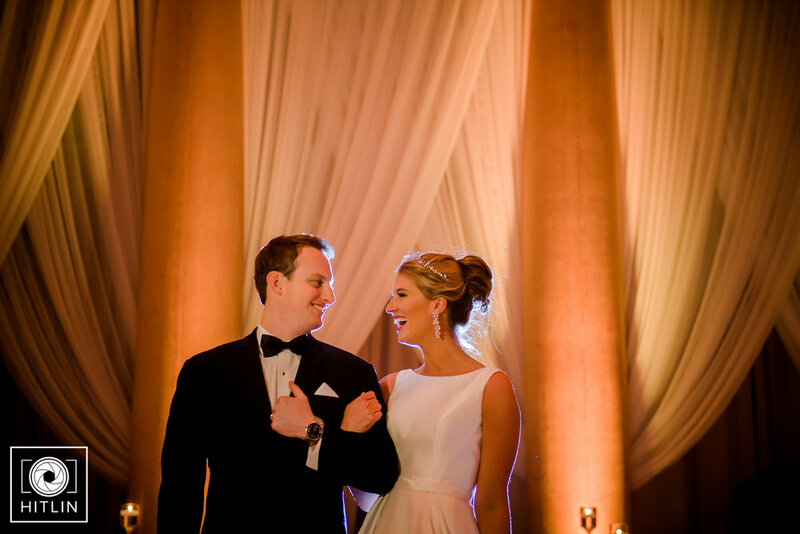 In addition to custom drapery designs adding a ceremony arch to the space is a simple way to make the transition from ceremony to reception apparent. Our white chiffon Chuppah with a crystal chandelier is a popular option for Hall of Springs weddings. It’s simple, but elegant design truly compliments the space. 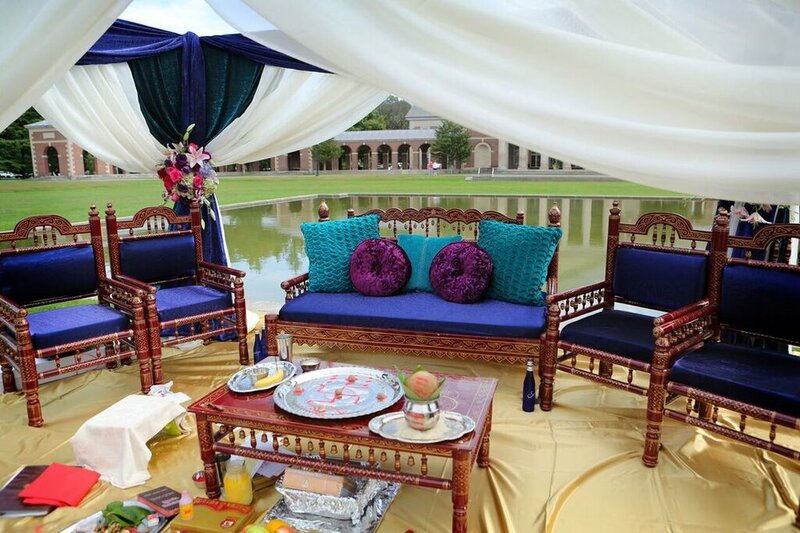 However, Total Events offers a variety of Chuppahs, ceremony arches, and Mandaps to create your perfect ceremony space. 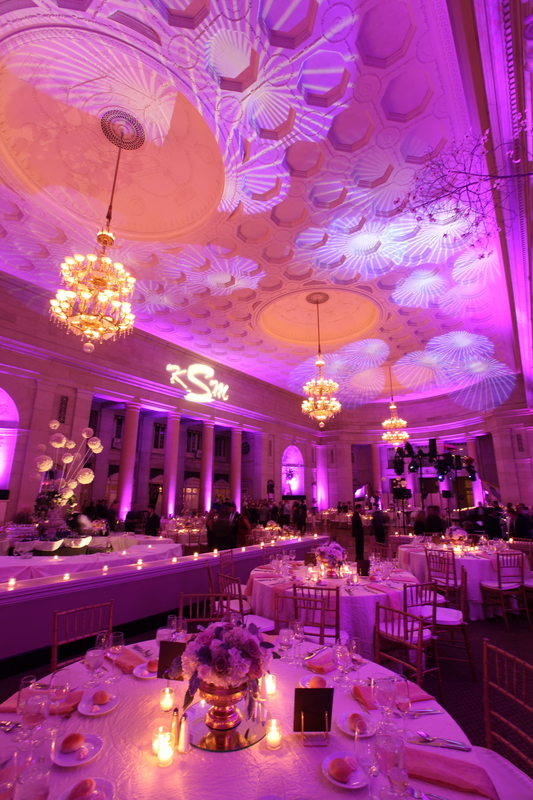 By teaming up with Total Events you can rest assured that your vision will come alive. Planning your next event at the Saratoga Hall of Springs? Contact us today to start your #TotalEventsTransformation!